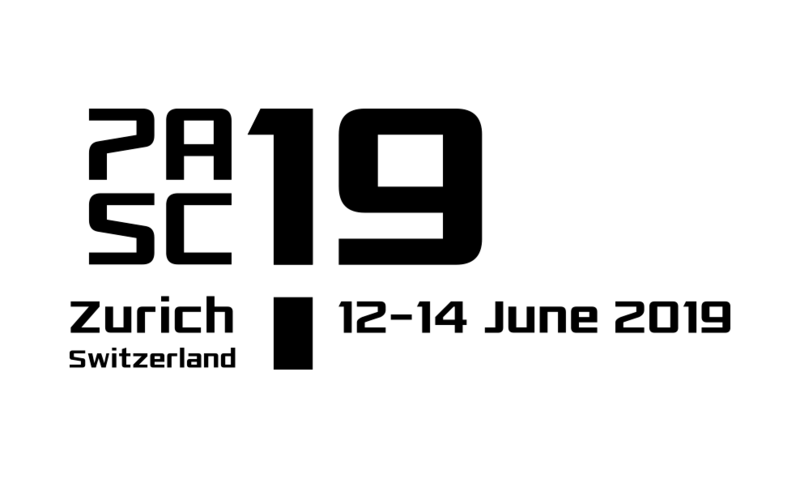 A total of 54 posters were presented at PASC18 from the various scientific disciplines represented at the conference. 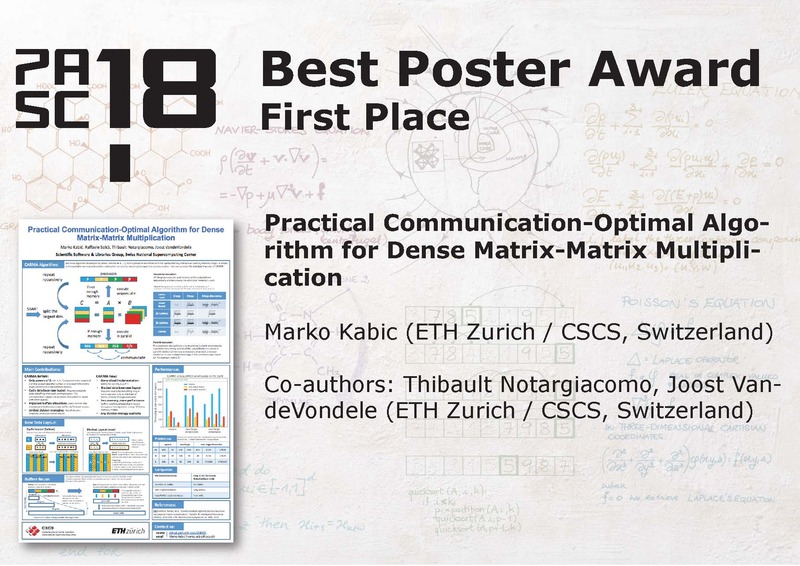 Posters play an important role in the conference, since they give the possibility to exchange ideas and expertise within and between scientific fields. 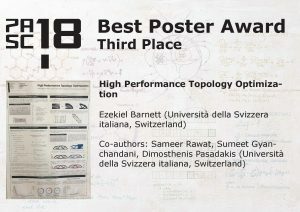 Moreover, like in the previous years, presenters had the opportunity to explain the main idea of their posters to the conference audience in a rapid-fire flash session held before the two-hour scheduled poster session. 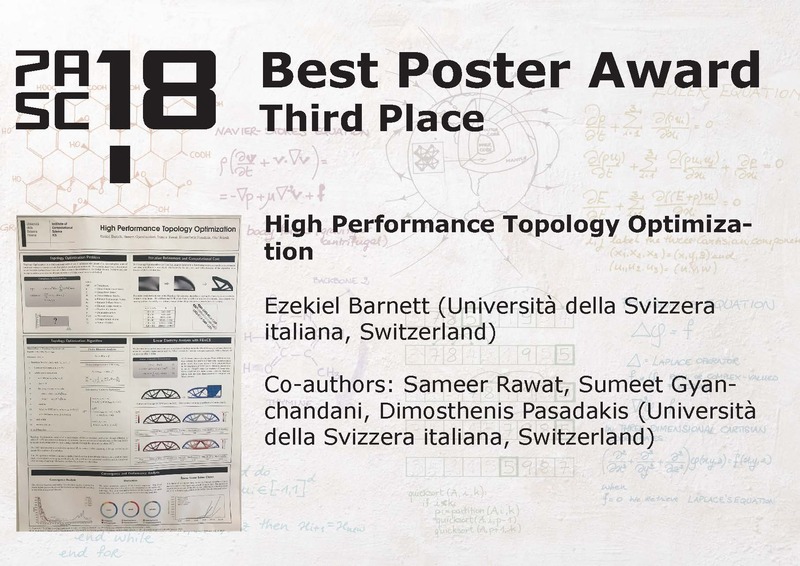 During the poster session, the attendees of the conference had the chance to learn more about the posters and vote for the best ones, which have been awarded during the closing session. 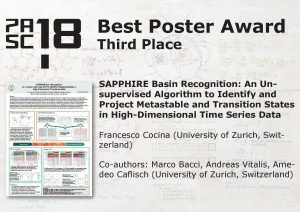 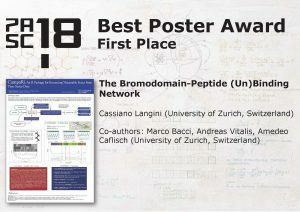 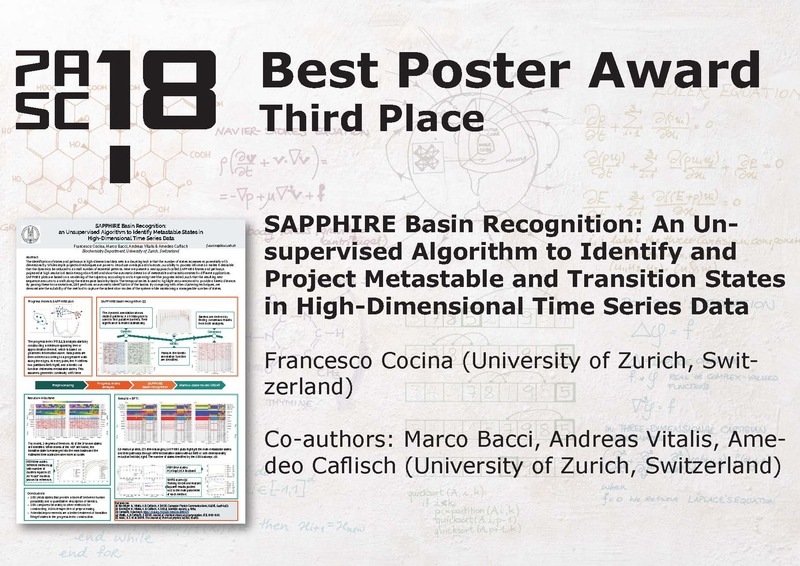 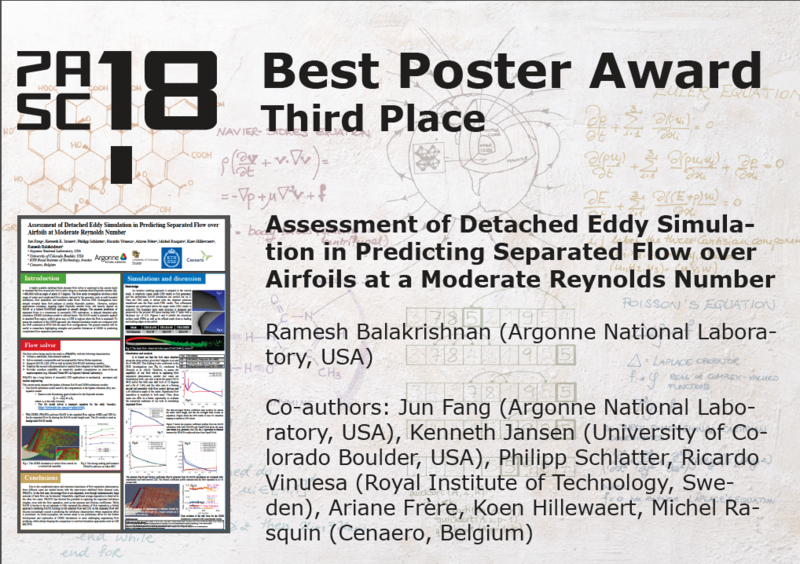 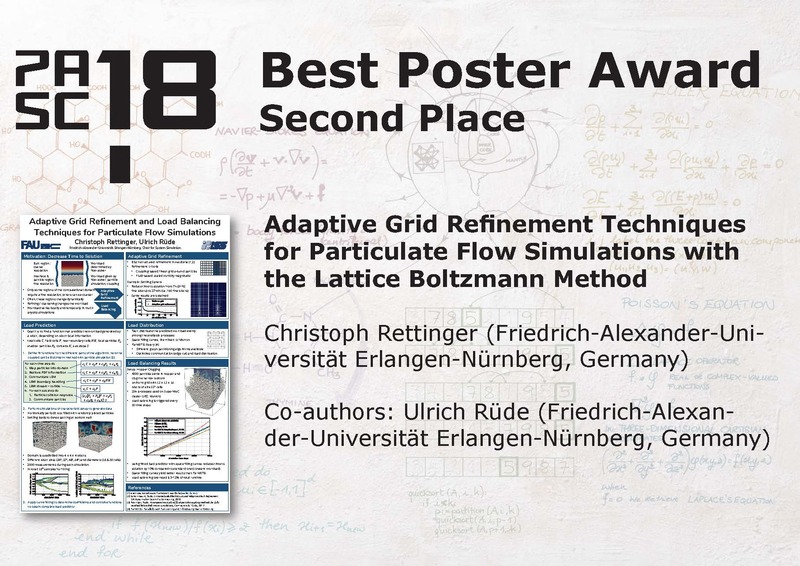 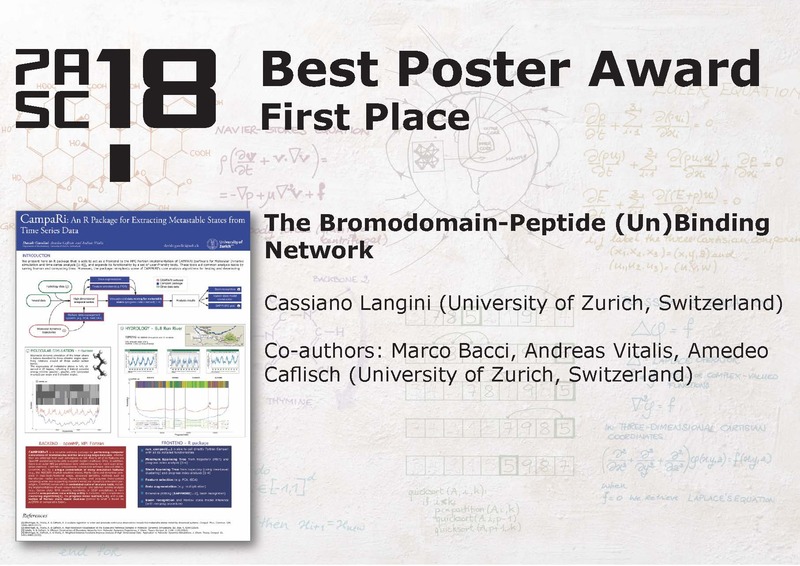 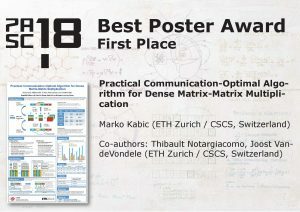 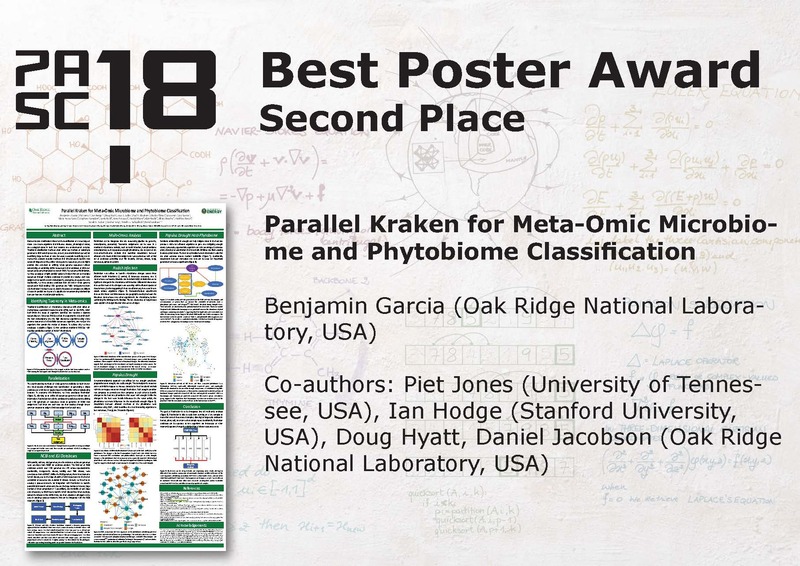 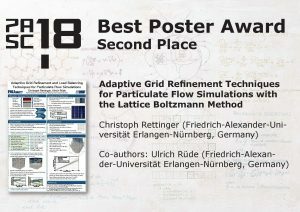 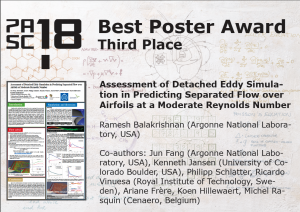 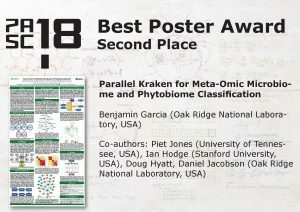 Here you can find the winners of the awards among the 54 posters present at PASC18.